"Which is harder: devising an unsolvable problem, or solving that problem?" This is the question at the core of Keigo Higashino's The Devotion of Suspect X. Japan's most popular best-selling writer develops such a uniquely skilled and suspenseful story of accidental murder, cover-ups, and corrupted, heart-breaking friendships that I haven't read in a long while. It is, in one simple (and just not good enough) word, fantastic. Yasuko has finally escaped her abusive husband, and she and her teenaged daughter have settled into a new life. When he shows up and demands more money, Yasuko and her daughter have an altercation in their apartment that results in his death. Unbeknownst to them, their next-door neighbor, Ishigami, has heard the entire incident and has offered his "services." Although a brilliant mathematician, Ishigami has devoted his life as a high school math teacher instead of taking the glory road to college research. With available time and a curious mind for always solving problems (and the more intricate, the better), Ishigami offers his help to Yasuko to cover up the death of her former husband. Feeling unable to say no for fear of the police, Yasuko accepts, unaware that Ishigami also has feelings for her. When top detective Kusanagi arrives to investigate the case, he brings in consultant Yukawa, a fellow classmate from their college days, and now physicist, to help sort out specific details. Yukawa, commonly known as Detective Galileo, has frequently helped the police on other cases, but when he learns that Ishigami was also a fellow classmate and former "competitor" in the world of math and science, Yukawa can't help but get more involved. This is a brilliant piece of detective-work and suspenseful writing, and I loved every moment of the story and especially the audio narration, performed by Davi Pittu. Suffice it to say that more than likely, you will not be disappointed. With every tangled strand Kusanagi unravels, Ishigami's air-tight explanations that he's provided to Yasuko are insurmountable. 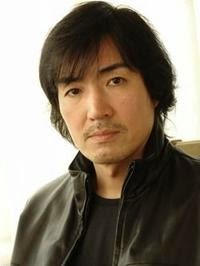 As "Detective Galileo," or Yukawa the physicist, dives deeper into the case, he realizes that while he might be coming closer to solving the murder, he might also be very close to losing a close friend. This is a book that you likely will have a difficult time putting down. I loved it, LOVED it. And the end? Aagh. My heart broke on so many different levels for ALL of the characters. LOVED this book. Click here for an audio sample from The Devotion of Suspect X. Now, on the other hand, Salvation of a Saint was not as engaging. While all the characters remained, and even a new introduction with Utsumi, who I really liked, a tough and quickly rational assistant to Kusanagi, the tale just didn't have the same brilliant and gasping storyline. I was, while thoroughly involved because of David Pittu's narration, a little bored by the overall case and found some of the methods used by the killer to be a little preposterous, so I pushed through to quickly get through it. A lot of that simply has to do with the fact that The Devotion of Suspect X was so good, to follow it up with the next installment immediately after probably set it up for failure immediately. 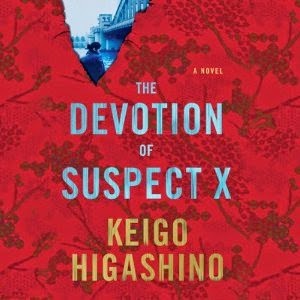 I highly recommend The Devotion of Suspect X, and I look forward to the third in the series. I will be enjoying this via the audiobook as well, and am looking forward to more of David Pittu's work. 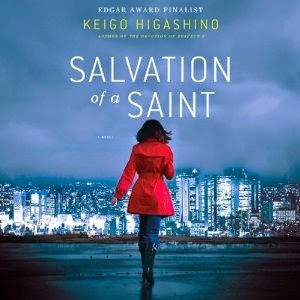 Click here for an audio sample from Salvation of a Saint. David Pittu is awesome. 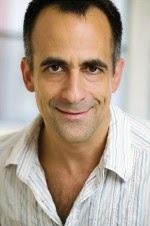 He is an American actor and versatile narrator for everything from The Marriage Plot to The Goldfinch to The 39 Clues children series. He is the 2009 Best Voice in CHILDREN & FAMILY LISTENING: The Maze of Bones, One False Note.